— a quick guide to establishing a brand and build a PR base for whatever you are selling. When you host an event, you have established an intended purpose or message. To spend time with family, to have fun, to advertise a product, to introduce a person. How you convey that message is event storytelling. Design and Scheme will now offer to you, our summarization of how you can achieve the desired effects of your narrative. Event storytelling is about connecting with your audience. It is your production design. Let’s get to the step by step process. 1) Establish your project process. To get started you need to ask yourself a few basic question to outline the image you are creating. What is your vision for your event and the foreseen outcome? – Don’t be afraid to daydream a little and let your imagination run wild. You can tame it down during the execution stage. Who needs to be involved? – Of course, you are going to need vendors and contact list, so this is your chance to start developing an idea of connections you need to tap and new acquaintances you need to make. What are the logistics necessary for you to understand to make this event happen? – Get ready to jot down some notes. Hello! Onedrive, Onenote, Google Drive. Decide if you will be the primary facilitator and working solo or if you need a team of coordinators to make this happen. The aforementioned applications will definitely help you whichever way you decide to go with your planning. All details need to be delegated and assigned a deadline, so take note. How will the management team and coordinators communicate? – For emergency needs? For payments? For when everything is going wrong? What methods of communication will be used? What is your event blueprint? Even the most spontaneous person is bound to need some structure and assistance. A blueprint helps you to address foreseeable crisis as well. What are all potential risk with this event? – Alcohol, allergies, safety risk, etc. What are your contingency plans? -There is nothing wrong with have a plan B, C, and even D.
As previously discussed, once you’ve decided to host an event you have a topic or at least an overarching idea that you can develop a theme around. We want to refine that to a point where we have a very general concept that we can promote. What product or message am I selling? What is my market or audience ( what is my guest list like)? What do I want to convey about my product or message / what do I want people to do? Why do I want to share this? How can I promote this ( What resources do I have at my disposal or that I have accessible to me)? All of these questions help you to craft an Announcement of Anticipation for your event. This is also a base in which you can advertise to gather your initial ticket presales and RSVPS. You are creating the buzz for your production. Do your research. Know your audience. Make a list of needed and wanted potential vendors with their pros, cons, and reviews, especially if you don’t have previously suggested vendors or ones you have successfully worked with before. Alright, beautiful people and eco-nuts. We are going to press pause until next week with Event Storytelling – Part 2. We will be discussing the development of the event and the delivery. 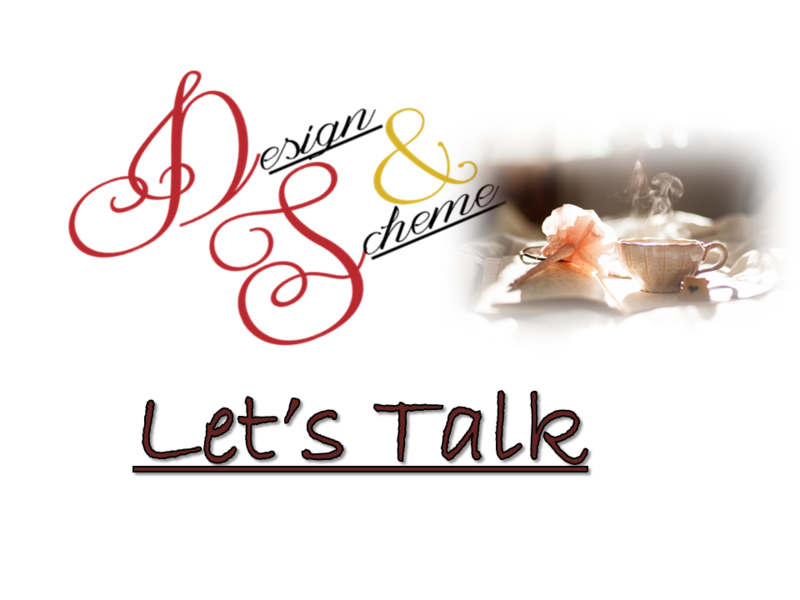 But for now, have you had a chance to visit the organization side of Design and Scheme for our latest series. Revamp your cleaning habits with my Basic Cleaning Schedule.